As many of you know, I am a member of the Church of Jesus Christ of Latter-Day Saints. 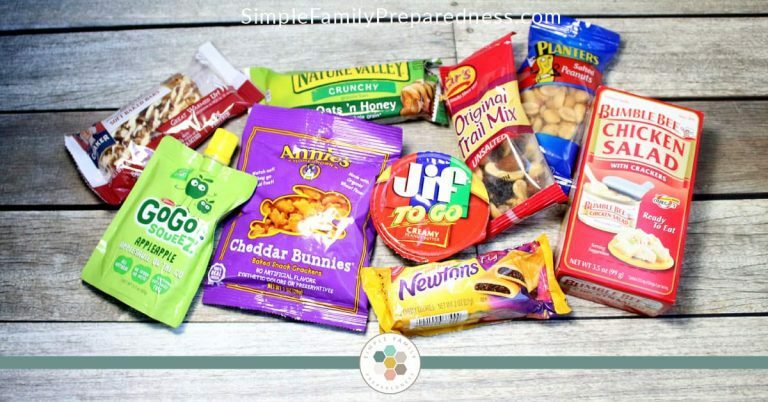 The members of latter-day saints recently asked me to curate a list of emergency food that would be perfect for a 72-hour kit. It is a very good idea to have a 72-hour kit full of non-perishable food just in case a disaster strikes. Whether it be a natural disaster or a power outage, it is smart to have an emergency food supply for an emergency situation. 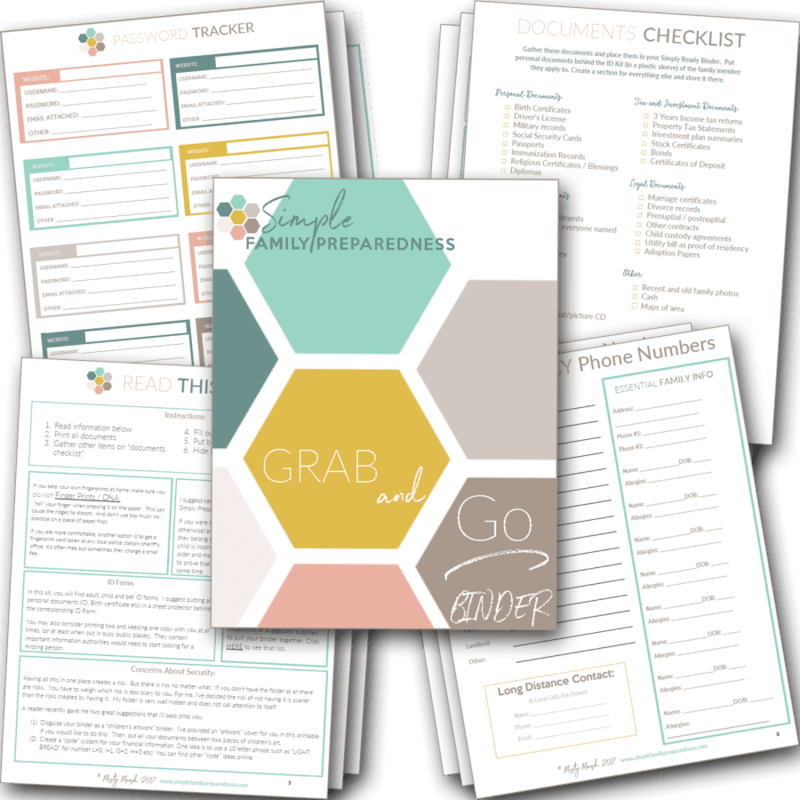 Emergency preparedness feels good! 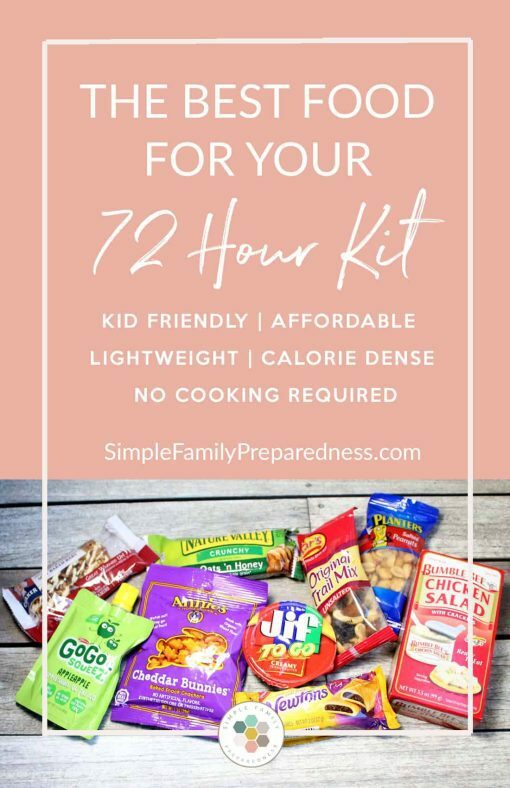 You will be ready when disaster strikes because you will have a 72-hour kit full of emergency food! Before I get started on the food you might consider including in your kit, I want to mention that the food that goes in your kit is only one small part of a full 72-hour kit. 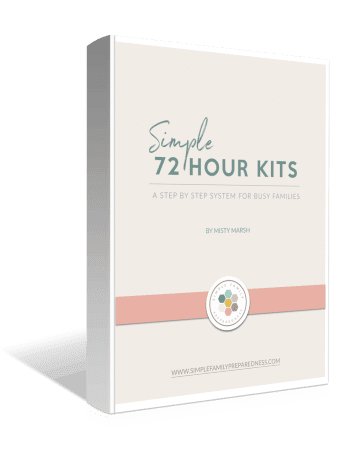 If you would like, I can walk you step by step through what to include (and what not to include), in your 72-hour kit, how to make it fit your budget and your family’s individual needs. I’ll start by telling you what my goals were with these kits and why I created them the way I did. Last, I’ll give you links where you can download menu labels for each day and handouts that you can use when planning your kits with your group! 1. I wanted to keep the cost of the food for this 72-hour kit as low as possible. The cost of food adds up quickly. Having to buy three days worth of emergency supplies and emergency food all at once at the grocery store in addition to your regular spending can seem daunting, especially for large families. The Church of Jesus Christ of Latter-Day Saints certainly has it’s fair shar eof large family, so I did not want the cost to deter people from taking this important step. I set a goal to keep the cost for each meal at $2 or less per person, and I ended up beating this goal! 2. 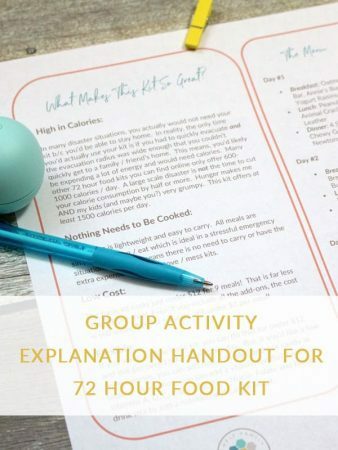 I wanted to keep the calories in the food for this 72-hour kit as high as possible while not sacrificing too muchnutrition. In most disaster situations, you actually would not need your survival kit. For example, in a house fire, you’d likely be able to go to a friend or family member’s home. You wouldn’t grab your 72-hour kit and go camp out at the park! Or, in an earthquake, you’d likely still stay at (or near) your home once it was over and have access to all the food in your home, not just your kit (well, at least anything that isn’t destroyed). So, in reality, the only time you’d actually use your kit is if you had to quickly evacuate, and the evacuation radius was wide enough that you couldn’t quickly get to a family/friend’s home. This means, you’d likely be expending a lot of energy and would need calories. I looked at many other 72-hour food kit lists online, and most offered only 600-1000 calories a day. Hunger makes both my kids and I (and maybe you, I’m guessing?) terribly grumpy! In my opinion, a large-scale disaster is not the time to cut your calorie consumption by half or more. I set a goal to get calorie consumption at 1500 calories a day or more while including at least somenutrient dense foods. I also ended up beating this goal! 3. I wanted all the food for this 72-hour kit to be “non-cook” type items. I wanted this for a few reasons. First, many items that need to be cooked (canned soups, stews, chilis, etc.) are heavy and would add significant weight to your packs. In addition, “just add water and cook” type meals require extra water…and water is HEAVY! Ideally, since you may have to carry them, your packs should be as light as possible. Also, the foods on this list have a long shelf life, so you know your food supply will last as long as you need! Second, if you truly are evacuating on foot, simple will be best. I know that even in my nice home when I have a bad day, I prefer making a simple meal to a complicated one. 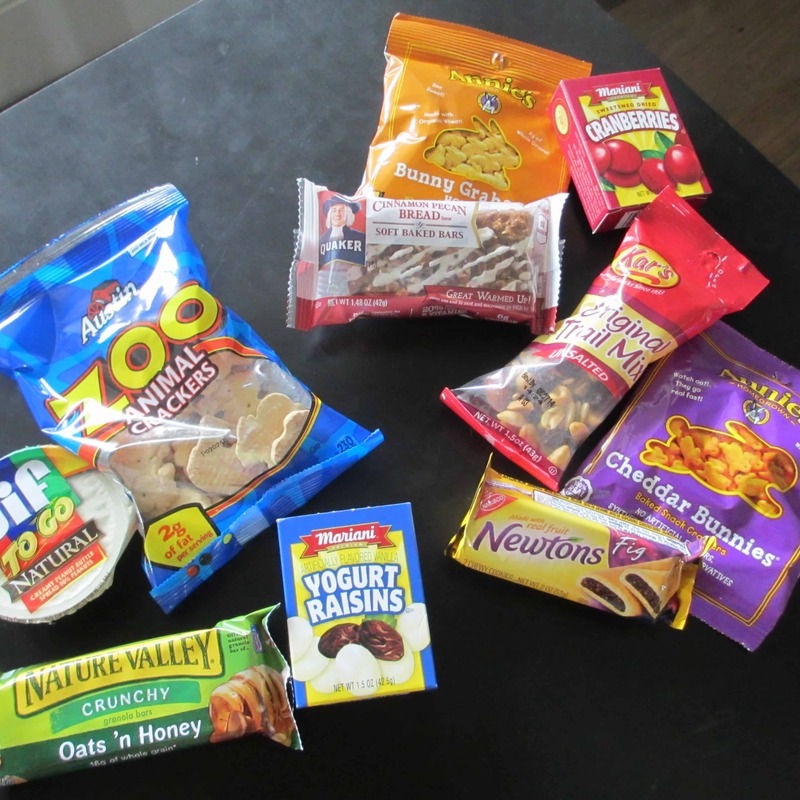 During an evacuation, it will be much easier to pull out a granola bar, open it and give it to my child than to pull out the stove, the fuel, light it, then the can opener, open the can, wait for it to cook, then dig through my pack to find bowls, cups, spoons, etc. Third, many families do not already have a small portable stove, lightweight mess kit, etc. This would be an added expense to them and may again deter them from getting their kits altogether. Furthermore, it might also be a good idea to throw some bottled water and a flashlight into a backpack. I completely met this goal! None of the food requires cooking, as it is all non-perishable food and simple canned food! 4. I wanted foods for this 72-hour kit that tasted good! Again, multiple reasons for this. First, and most obviously, you are more likely to eat food that tastes good. This is especially true of children. As adults, if we know we need to eat, we are likely to eat most anything even if it doesn’t taste great. But children are different. They may not understand how serious the situation is and will react just like they would at the regular dinner table. They will whine and complain if they don’t like something and end up not eating much. That may not regularly be a huge issue when tomorrow morning they will wake up and have pancakes, but in a true survival situation, they need to eat all they can. Second, you are more likely to rotate food you like! When we rotate the food in our 72-hour kits, we have a PARTY! It is fun! We get out all that yummy food (stuff we don’t usually eat otherwise) and have FUN. Then, we re-stock it with more yummy food. But if the food in our kits is gross, we won’t likely rotate it. Then, it might not be usable when we need it. This was tricky because everyone has different tastes. Also, not everything that tastes good and is high in calories is extremely nutritious! 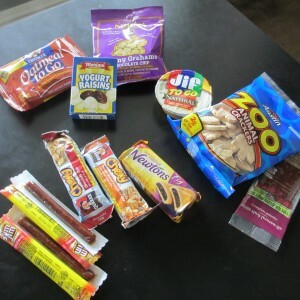 Some things in my kit are things that I might not want my kids eating every day (sugary, salty, processed, etc), but it is stuff they really enjoy. Other things are relatively nutrient dense. I figured this would work for most families without serious allergies in a survival situation. 1503 Calories per Day and $1.32 per Meal! I created a 1503 calorie a day non-cook food kit for $11.86! That is just $1.32 a meal! Seriously! I was so proud of myself I had to call my mom to brag. It took hours to figure it all out, but I really think it is a great kit! In addition, if you can afford a few more dollars, you can get that kit up to over 2200 calories per day for $16.29. That is still under $2 a meal at $1.81! One pantry can Peach Drink for three people: Adds 306 calories per day, and LOTS of vitamins. Enough for one cup peach drink at each meal per person. $2.66 additional cost per kit. So, for my family of six, I would purchase the basic $11.86 kit for everyone, add the nuts and candy for everyone and two pantry cans Peach Drink. My total cost would be $100.86 or $16.81 per kit ($1.87 per meal). Total calories per day per person would be 2236 per day! Note: these prices were accurate in the fall of 2013. Current pricing may be different. Also, I try to update links in this post 2-3 times per year, but some may have changed. Use this as a general guideline. Obviously, the prices in your area may vary a bit, or you may end up reading this post months or years after I post it. But, unless there has been some sort of HUGE inflation since I posted this, I believe you can easily get this 72 hr food kit for under $2/meal. Part of the reason I was able to get these prices was because we baught in bulk. I went to Costco and shopped online in bulk. So, if you are to do this, it will be best to get a large group of people together! You could get your church group together or a few families in your neighborhood. You can even all rotate at the same time each year and buy your re-supplies together too! 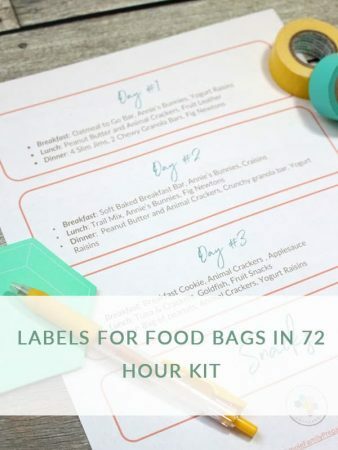 Print, cut and put on each day’s bag so you know what to eat when. Print by clicking HERE or on the image! Give this handout to anyone you’d like to invite to join your group. It should help them understand what it is you are trying to do and why you are building the kits this way! Download by clicking HERE or on the image! This was a lot of work to put together! Over the last three years, I’ve received many requests from church members and group leaders (mostly LDS Relief Society leaders) for such a post. So, if you know a leader of a group who could benefit from this, send it to them! Share it on Facebook or pin it to Pinterest (you can use the pink buttons below). It will save them a LOT of time (and hopefully money) while helping them create truly valuable kits for their families! If you make these, please tell me about your experience in the comments. Thanks! Thanks for this great list! I really want to have a quality 72 hour kit for my car but one of my concerns is finding food that won’t go bad while sitting in my trunk during the extreme hot and cold temperatures. Do you have any suggestions? from your menu and grocery list how many kits were you able to make? I made six for my family Kalli, but we made a lot more than that for our church congregation. The prices listed are for ONE. Thank you so much for all your hard work on getting this together and posting it. I am giving my 3 adult sons each a 72 hour emergency kit for Christmas. Yea, kind of lame, but with all that has been happening in the world, I feel it is something they need and wouldn’t be apt to getting for themselves. I was trying to think of small stoves to give them, but think I will go with this idea of not having to cook anything. Now to figure out Small First Aid kits. Do you (or does anyone in comment-land) have any suggestions for a low-carb 72-hour kit? 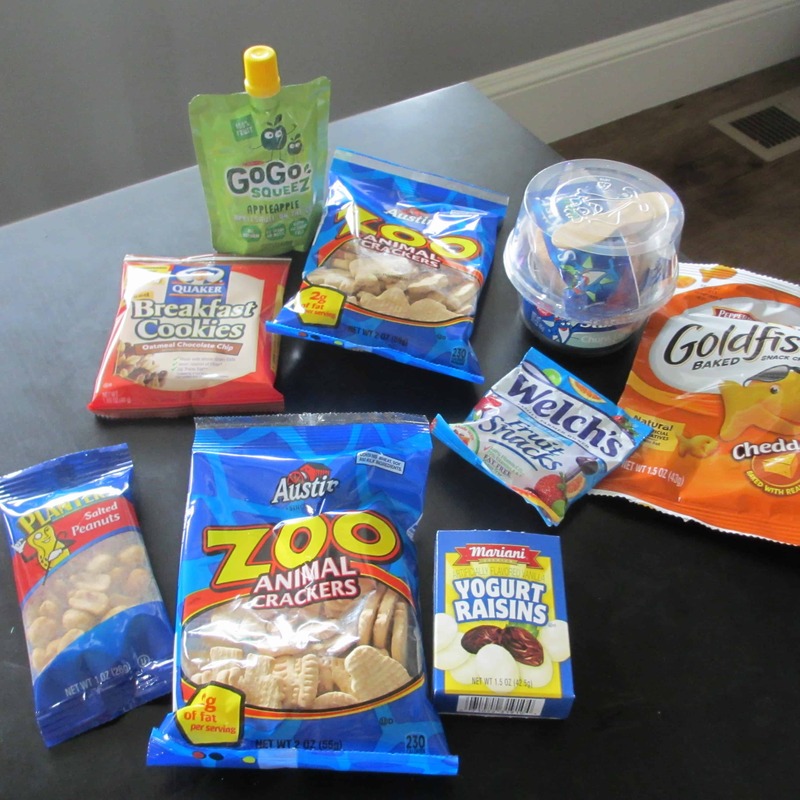 Diabetics and gluten-sensitives have to really be careful with pre-packaged foods. Thank you for your information, and breaking down the overwhelming task of preparedness into manageable tasks. I’m getting back to work on these things. I have not seen this anywhere Julie. But let me reach out to those I know in the preparedness community and if I find something I’ll get back to you! Convenience foods like the ones in article rarely keep such things in mind do I’ve made do with normal sized. If you have a vacuum sealer, you could repackage the dry goods for longer shelf life & smaller foot print. The tuna can be found in pouches (& I just stumbled on similar packages for chicken and ham if there are seafood allergies in someone’s family – BumbleBee brand). I can’t type beyond the link below, spell check keeps wanting to change link words. For diabetics, low carb I’d look at nuts for protein. For ideas i’d search within vegetarian or paleo hiking good options. I’m not lds, just been through a lot & know these are great things to do. I hope this helps. With the tuna pouches, I then I just took a box of gluten free crackers & tossed the internal sealed bag in with out the box. Dehydrate your own fruit in the oven on lowest temp with door cracked if you don’t have a dehydrator. Nuts are a great option. It is a great Relief Society Activity! I used this for an RS night meeting in January and my sisters really loved it. The no-cook menu is smart, especially for young or old who would be responsible for their own 72 hour pack. Thank you for sharing your inspired and practical ideas. Yay! I am so glad it helped you have a successful activity! My husband is allergic to all nuts, as well as fish (including tuna) so for his kit I have several individual serving packets of SPAM (not something we normally eat but good protein in a pinch plus they’re $1 at walmart) and chicken salad/cracker packages. Also bags of seeds, like sunflower and pumpkin are good. There also are no-nut butters, made from sunflower, lentils, etc. Sunbutter (made from sunflower seeds) would be an easy substitute. Also shelf stable hummus would be high in protein. We have had several small earthquakes here in Utah over the past few weeks. That prompted me to rotate my emergency stash today. I found several items at the dollar store such as, a 10 pack of raisins, and Starkist tuna and cracker lunch kits. They are dated 2021. I keep a log of everything in my 72 hour kit, along with expiration dates. I try to check it often, so I can rotate stuff like the canned tuna, chicken and salmon. Here’s to hoping that none of us will ever need to use this stuff! I might add to your optional list the mylar packaged pre-seasoned Spam at $1 each, making one meal a day feel more substantial. It is harder to rotate as it is a less liked food, but the shelf life is 4-5 years. Even if 2 of the family kits had these and you split it between a couple of people. I also found that Honest Kids mylar packed, single-serve fruit juices are lightweight, tasty & I keep them under my passenger car front seat with 2 high-quality Kind bars – in case I ever get stuck in my car. (as well as in my 72-hour bag). How often do you rotate the food in your 72 hour kit? I TRY to rotate it every six months (during general conference), but it often ends up being a year if I’m honest! This is an awesome post. Although all the items you packed are more snack or munching foods. I thought you might appreciate some more meal-like foods. Instant mash potato pouches do not need heat to reconstitute just water and time. The beef jerky-cheese combos cost a touch more but are way more calorie dense. Also never forget canned tuna. Also Bumble-Bee offer snack packs that contain canned spread and crackers for usually $1. I will say though the items you got are perfect for little kids to munch a little at a time though. These ideas are great! I can tell you’be put a lot of work into this and I appreciate it. This will help our family a lot! Thank you! You are very welcome! Glad to know it is helpful! I saw this on pinterest and thought it was so funny because it looks like the post office accidentally delivered my recent Amazon order to you! Many of the items are very close in price. Some I got for even less than your prices here. On Amazon, many of the items are available through the subscribe and save. When you subscribe to 5 or more items you get 15% off all of them! And you can cancel the subscriptions very easily anytime. So the boxes of 48 fruit leather strips were $9. A box of 120 Slim Jims was $19.48. The animal crackers I ordered are the same ones, but I got a box of 80 packages for $21.90. I am going to add individual Crystal Light flavor packets to my kits (I got a pack of 44 packets for $5.99 on Amazon.) to flavor water with. Love this! SO funny! But so helpful! Thank you for taking a mintue to let us all know! just to name a few…I’m so sad…I think this might drive the price up quite a bit!!! That is a really big difference Chelsea! Could it be the area? I just bought Kirkland granola bars last month and they weren’t anywhere near that. Ugh…that is a BIG difference! Different Costco locations do have price difference as well as stock variety. Any time we travel we try to check out different stores and take advantage of items not carried at our local store. I agree that I have never seen granola bars that expensive. The protein bars are often that expensive. I try to buy snacks bars and jerky when they are marked down in coupon book. I find it gives a good rotation. Thanks for the tips Margaret! I live in Missouri, and the prices she gave are very close to what I find in my area. Your prices are extremely high. What area are you in? Have you checked Sams club? What about smaller quantities t a Walmart? Thanks Chelsea! That did seem like a HUGE jump! Can I ask the weirdest question…can you email me so I can ask you some questions…like how many sisters need to order to “qualify” that price you set out/ kit? Oh my heck girl…the only words I can say are THANK YOU!!! You are amazing and really saved me. We are doing a RS activity and the sisters wants to make 72 hour kits and I am the coordinator and I was going to have to set out and do EXACTLY what you ALREADY did!!!! SO THANK YOU FOR YOUR EFFORTS AND HARD WORK AND ATTENTION TO DETAIL and all the handouts!! Truly amazing!! PS prices have gone up and some items are not available on Amazon right now. Bummer!!! I’ll have to figure something out unless you have other ideas…lol. Yay! I am so glad it is helpful! I love Baptists! I lived in Georgia for a while and met so many fantastic Christ-loving people. Good for you!